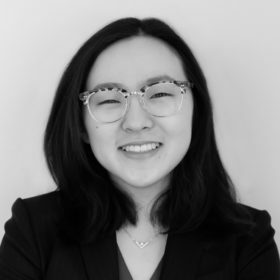 So Jung Kim is an associate at Hamilton Place Strategies, where she assists clients in achieving their policy objectives through strategic communications and rigorous data analysis. Prior to HPS, So Jung was a policy fellow at the Eno Center for Transportation. She supported the think tank’s research analyzing transportation network companies, international aviation, safety regulations, infrastructure financing, workforce development, and governance. So Jung previously interned with the U.S. Department of Transportation Office of Inspector General in their legal, legislative, and external affairs shop; the U.S. Department of Agriculture Rural Development in the Michigan state headquarters; and the U.S. House of Representatives in a California member’s Hill office. On her college campus, she worked for the university’s Poverty Solutions initiative as a research assistant and The Michigan Daily newspaper as a copy editor. By way of California, Maryland, and Michigan, So Jung holds a B.A. in Public Policy from the University of Michigan’s Gerald R. Ford School of Public Policy and a minor in political science.